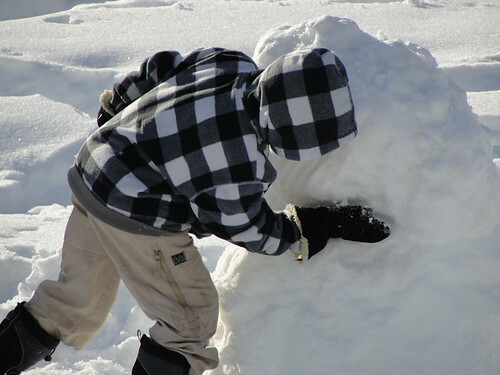 Winters' Day In: Snow Much Fun! 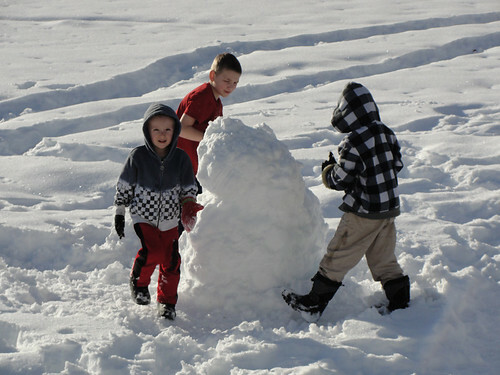 After four days of warm(ish) weather last week, the snow was soft enough that the boys were able to make a snowman. Jude was the foreman of the project, but all three boys participated, and had a total hoot doing it! When they were done, they informed me that it was supposed to look like Daddy (whom we were expecting home from a five-day business trip the next day). "The straw is his hair, see?" Jude pointed out. "Can you take a picture?" he asked. 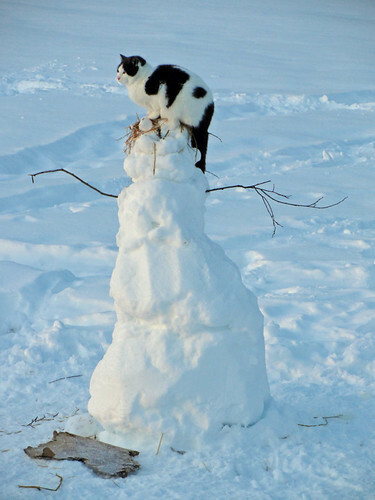 This Wednesday morning, we noticed that the cats thought building a snowman was a good idea, too. 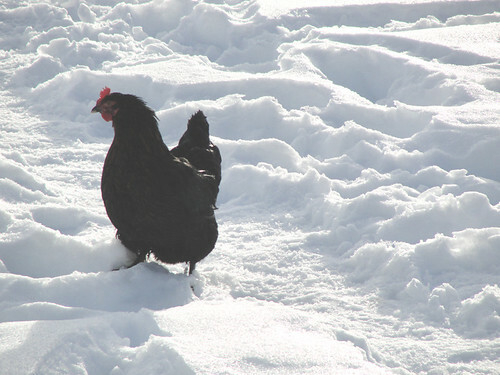 On the day of the snowman-building, it was warm enough that I had instructed the boys to leave the chicken coop door open for a few hours so the chickens could enjoy the sun. 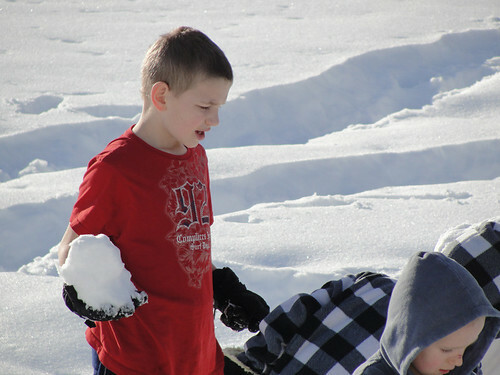 Noah got a little over-exuberant and hauled a couple birds all the way over to the house and set them in the snow. Jude promptly put them back, but not before I snapped this photo of one of them. This stunned look says, "What the heck am I doing over here?!! And now what do I do?" Dawn, this made me laugh out loud. I know the feeling--on both the longing for spring and doing too many things at once! LOL! I'm with the cat!! 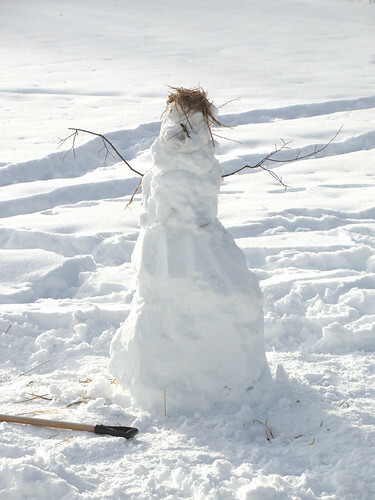 It's an awesome snowman. The boys did a super job.